After starting out with a lower value number, many clients get the bug and decide that they want to upgrade to something a little more valuable. People often go from a cheaper Make Your Own, or other basic plate to a private number plate which maybe a better investment. With prices starting from only £155 (plus VAT & DoT fee) for a cheaper “Make Your Own” plate, the industry allows those on a tight budget to buy registrations without breaking the bank. Indeed, these fashionable registrations are seen regularly on cars of younger drivers. The definition of private number plates is simply a registration that is chosen rather than comes with the car. A private number plate can take any legal pattern of letters or numbers and can cost anything from a few hundred to hundreds of thousands of pounds. There are some sub categories within private plates which refer to certain patterns of letters of numbers; dateless, suffix, prefix and new style. There are lots of synonyms (words that mean the same thing) for the term ‘private number plate’ such as cherished number plates, vanity and personalised number plates. Here at Carreg we have noticed sales of number plates have rapidly escalated over the last few years. Knowledgeable customers are aware that rare private registrations – especially the dateless – have historically been fantastic investments. Some private registrations have performed along the same lines as, or sometimes better than, traditional investments such as works of art, antiques and property. And of course, private number plates need no up-keep or maintenance. The more common initials will always be better sellers: a plate with “S” at the end. For example, “JS 1″. One example would be our client Brian Bird, who called us wanting to upgrade his “B7 BMB” plate, originally bought from us for £399. Choosing “44 BB” at a retail price of more or less £9,000, is he just throwing his money away on vanity? No! In over 20 years at the pinnacle of the registration industry, we have seen that private number plates have been consistently good investments. Those bought at fair market value rarely loose money. Brian is almost guaranteed to at least get his money back should he wish to sell “44 BB” later, and can reasonably expect to make a profit if and when he decides to part with this exclusive mark!Often we can part exchange your original private plate or sell on commission. Commission sales usually raise more, but may take longer. In addition, Brian is able to re-sell “B7 BMB” through us without charge, a standard part of our purchase agreement. Of course he could also choose to retain his original purchase for the future. 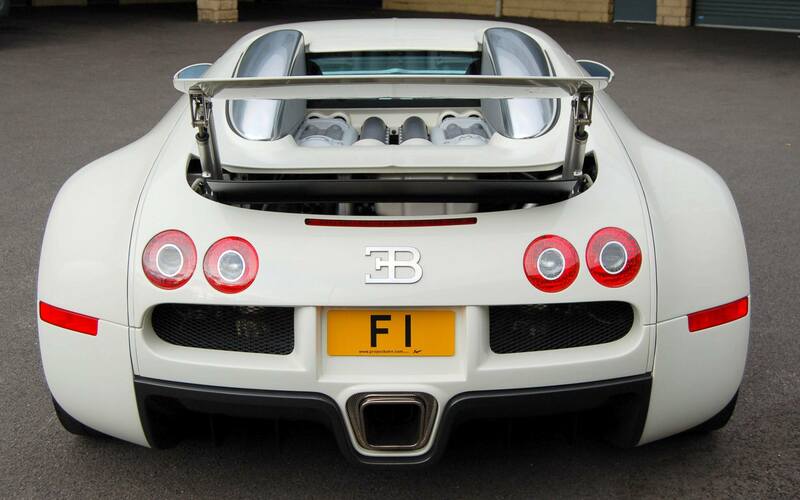 Whilst his investment continues to mature, Brian can actually use his special number plate, rather than the money being simply stuck in a bank account or shares! There are many different styles of number plates to choose from, and you can make yours individual in many ways for a truly personalised plate! You can make prefix plates such as “A5 JON” using our Make Your Own service. First select the prefix (in this case the letter “A”), then choose from one to three numbers (here we’ve gone for “5″). Lastly pick the final three letters: the “JON” part on the example. Here you may be lucky enough to get your name or part of your name. Many of our customers will choose their initials or those of their spouse or children. With new current style number plates like “AB55 CDB” you could choose your initials as the prefix letters - AB on our example - then maybe choose your wife’s initials (here “CDB”). But you’re not limited to names and initials! You may want something to match your favourite sport like LBW (cricket), POT or CUE (snooker). The possibilities go on for ever so for some ideas about how to design the perfect private number plate visit our Number Plate Ideas section! Just enter a selection of letters into the search field above to find all matching dateless, suffix, prefix, and un-issued government registration stock from £100 to £1M!